Every year on the last Monday in May, now known as Memorial Day, the United States honors those who have served. Across the land, citizens bow their heads to thank those who put their lives on the line, and shed tears of pride and pain for those who paid the ultimate price. This weekend of celebration will be filled with food, family gatherings, reflection and without a doubt, music. 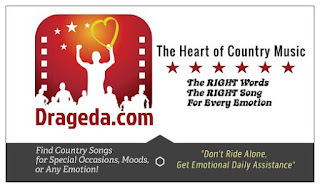 If your gathering needs just the right song, with just the right words, you'll want to add these message driven country songs to your playlist. Those who serve do so with a sense of duty to family, to country, to a better world. They don't do it for the glory, they don't do it for the money, they just do it, and although they give a piece of their soul, they don't want to die, but if that happens, they do it for us. That's what a sense of duty is. They are out there, on the front lines, seeing, feeling, living things we'll never fully understand ... things they never want their kids to have to live through. Their sense of duty goes beyond one lifetime. That's what this first song is about. (Yes that Kevin Costner): Modern West performed this song in April 2014 at a ceremony where a memorial was dedicated to five men who died in Afghanistan. The song was written with the Civil War in mind. The lyrics provide grace through the visual of angels coming to rescue souls from blood stained battlefields. The haunting lyrics paint a picture of the ultimate sacrifice and in the end ultimate love. They experience the grace of angels carrying their souls to a place of peace ... the best lyric "they left no one and they placed no blame" - what this world has the potential to be, no blame. As a Canadian writing this article, I want to extend my thank you to all who have served and continue to serve on both sides of our border. No matter our individual political leanings, it's safe to say we all share a few things in common: The lands of the free, and prayers that our men and women return home to us safe, alive. Our tears are your tears, your tears are our tears. We're neighbours sharing the longest free border in the world. To those of you who have lost someone, no matter which side of the border you live on, know that I include you in my prayers, and thank you with every breath we and our children take. We know the gift of our loved-ones smiling faces come courtesy of many before us who paid for that freedom with their life. It will never be forgotten. While we all pray for peace, we thank all who have served and who continue to serve ... making the ultimate contribution toward mankind achieving that goal; the perfect union. I'll end this selection of songs for Memorial Day, with this message of faith delivered in lyrics that the tell the story of a little boy and his close friend 'Old Man Wrigley'. Old Man Wrigley, who served in the Navy, became a positive influence in this young boy's life. This little boy, now a young man away at school, receives a call from his mom to let him know that Old Man Wrigley died. The news hits him hard. The passing of his old friend causes this young man to reflect on this sweet old man who taught him more about Purpose than he had yet imagined in the springtime of his life. These words by Brooks & Dunn sprinkle light on the pain of loss. Your loved ones, my loved ones are still with us. When that salty water leaks out of your eyes, there's a hand you can't see wiping away that tear. I believe. Hold on to love, you'll take it with you. Very powerful messages you have shared here through these song selections, Barbara. May this Memorial Day be a good holiday for us here at home, but also a day in which we take a moment to reflect on those who paid the ultimate price for the freedom we have today. And, wow, I had no idea Kevin Costner could sing. Wonderful song! The songs you choose for our Memorial Day celebration are perfect Barbara! I thank you so much for working with us on this holiday compilation. Memorial Day is a difficult holiday for many of us, but we still need to remember the real reason we set that day aside as a day of respect and to remember those you gave everything for this country and this music definitely helps us to remember. Our family has had members in every major war including that first American Revolutionary war when we fought for our independence. The ones who came home, came back changed forever. Obviously, I didn't know them all, but I am so grateful to those men who fought for us; the generation that has followed after them. I often think, we are not worthy of their sacrifice. 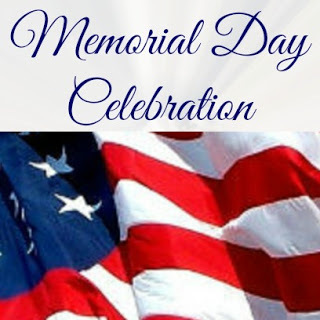 Great selections of Memorial Day music! Beautifully said Cynthia, these holidays of remembrance help to make us worthy. We've had family in in wars as well, and having four sons myself I just don't know how families endure their children going off to war. But they do, and they do it with grace and tremendous sacrifice. Like you said, and those who do come back come back changed forever. That was the case with the family of someone I know. Very difficult. Wonderful sentiment and beautiful music here, Barbara. Our sons came back safe from war, but they had friends with them who did not and will be honored this Memorial Day weekend. Somehow the feelings that everyone feels are best explained in song. So sorry to hear about the loss of your sons friends, so difficult. My prayers will include them as well - beyond words. Grateful your boys made it home; wonderful sons. I lost a friend I went to school with in the Vietnam war. I know how I felt when I saw his name on the Memorial Wall in Washington. I love the music you chose for remembering those we lost. 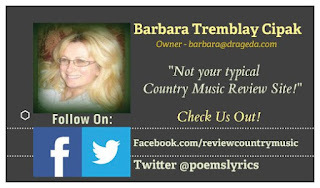 Thanks Barbara for sharing these songs. What a wonderful way to start my Memorial Day! Very nice Memorial Day post. The thoughts of those who never made it home have been on my mind. These music choices fit my thoughts wonderfully. I was surprised by the Kevin Costner song; I didn't know he sang!